CCBoot can work with Truecafe successfully. Please follow the instructions as below. 1) Install CCBoot on your server PC. 2) Install CCBoot client program on you client PC, and then reboot the client PC with super client. 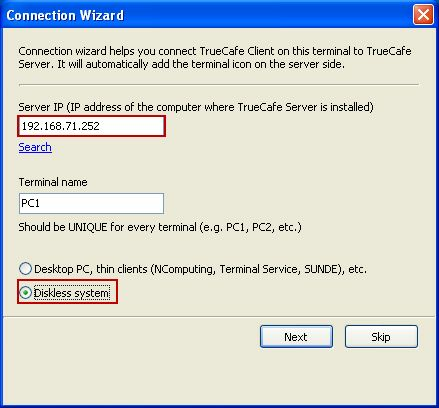 3) Install Truecafe server on your server PC. 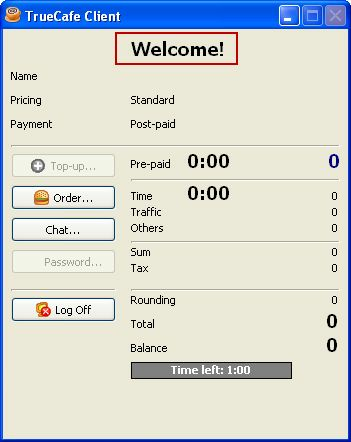 4) Install Truecafe client on your client PC, double click the Truecafe client, input the server IP in the pop-up "Truecafe client" dialog box and select the "Diskless system" radio button (Figure 1-1). 5) Click the "Next" button in the pop-up "Connection Wizard" dialog box (Figure 1-2). 6) Turn off the client PC and disable the super client on server PC. 7) Reboot client PC. 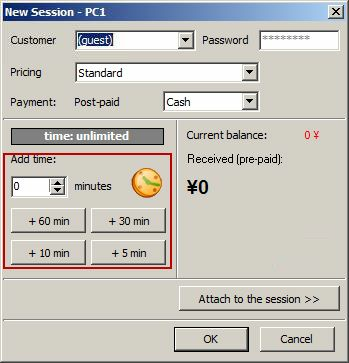 In the Truecafe details pane, double click the client PC, in the pop-up "New Session" dialog box click the "Add time" button and select the proper time (Figure 1-3). 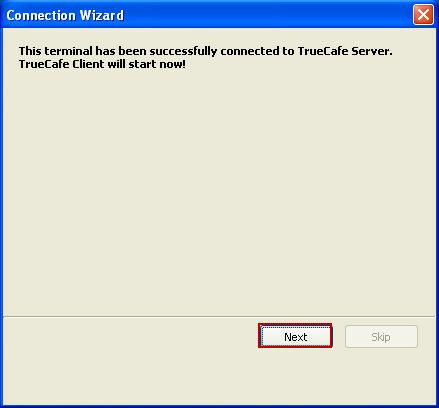 8) On the client PC when you can see the "Welcome" , you can use Truecafe with CCBoot now (Figure 1-4). Note: Please operate according to the above steps. Moreover, Truecafe can work under the circumstance of diskless and HDD. When you boot the client with CCBoot diskless solution, you should choose the "Diskless system“ radio button in the pop-up "Connection Wizard" dialog box.